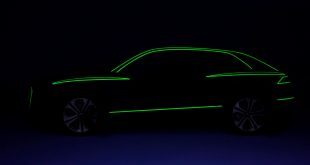 In just a few days the status quo in the premium compact executive sector will again be potentially turned on its head by a completely new Audi A4. 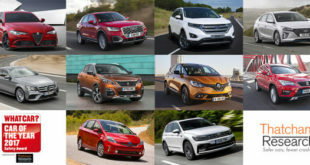 From September 10 the many attributes which have already made the A4 an international sales success will be available in strikingly amplified form, from the already lauded quality of finish to the sophisticated in-car technology, and from the slick and frugal engines to the polished transmissions and highly effective driver assistance systems. One change which will be distinctly less dramatic will be the range pricing, which despite major equipment gains will start from £25,900 OTR. Due with their first UK customers in November, the 54 Saloon and Avant variants making up the launch range will be available with a choice of seven TFSI and TDI engines. Depending on the preferred engine, customers will have a choice of up to three specification levels, including a new Sport option which will sit between the entry SE and top S line rungs that will be familiar to existing A4 drivers. 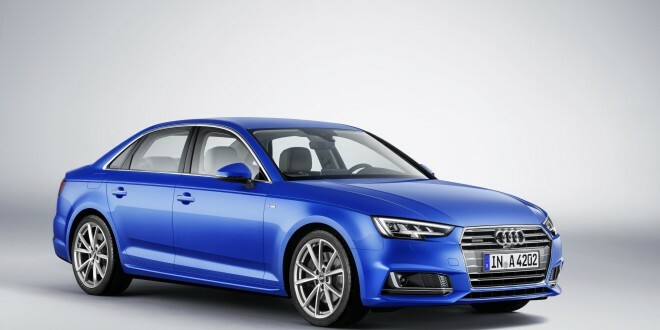 Each specification option will offer plenty of the technological sophistication for which the all-new A4 is likely to become renowned, combined with premium features that will greatly enhance everyday use. Examples of these in SE models include xenon headlamps with LED daytime running lamps, three-zone climate control, cruise control, rear parking sensors and the Audi smartphone interface, which supports Apple CarPlay and Android Auto platforms and displays smartphone contact and information such as navigation mapping on the A4’s seven-inch colour MMI screen. In Avant versions of the SE model, powered tailgate operation and an electrically retracting luggage cover are also standard, facilitating access to a the most accommodating load bay in the premium compact executive estate class, with a capacity of 505 litres with the standard split/folding seats in place or a seats-down maximum of 1,510 litres. Sport models have their own distinct exterior look complemented by exclusive 5-spoke alloy wheels with the same 17-inch diameter as the SE. 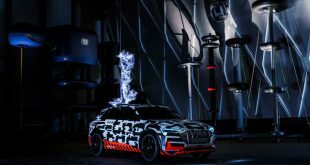 Inside, they gain MMI Navigation, plus an automatic three-month subscription to the many internet-based services and in-car internet browsing options offered by Audi connect. Sports seats, a sports steering wheel and the 180-watt Audi sound system are also among the additional benefits. Designed as usual with the most driving-focused owners in mind, the top S line specification includes an upgrade to a larger 18-inch S line alloy wheel, and visual enhancements courtesy of bespoke S line exterior styling. It also adds LED headlights incorporating LED daytime running lights and LED rear lights with dynamic rear indicators with a progressive sweeping action in the intended turn direction. Sports seats upholstered in a combination of cloth and leather help to set the tone inside, and S line sports suspension does the same for the driving experience – if preferred it can be replaced at no cost by the most comfort-oriented standard suspension. Given that it creates less slipstream than its competitors with a lowest-in-class drag coefficient of 0.23 (Avant 0.26), and is lighter than its predecessor by as much as 120kg, it should come as no surprise that the all-new A4 is appreciably more refined and up to 21 per cent more fuel efficient than before. As a result, every model in the latest range registers the best performance in its specific competitive basket in the official combined consumption test. Petrol engine capacities now range from 1.4 litres to 2.0 litres, and TDI displacements from 2.0-litres to 3.0 litres, with outputs starting from 150PS and rising to 272PS. All engines combine high efficiency with outstanding responsiveness and refinement, but particularly notable exponents of these attributes are the two versions of the 2.0-litre TDI engine which in combination with front-wheel-drive are given the ‘ultra’ designation that signifies the best economy returns in the Audi range. Between them these two units power an impressive total of twelve A4 ultra models. For business users the 2.0 TDI ultra with 150PS and six-speed manual transmission will be a major draw. It delivers a combined consumption figure of 74.3mpg with CO2 output of just 99g/km, and equally importantly does so with fewer equipment restrictions than the majority of premium sector competitors – its frugality can be enjoyed in conjunction with both SE and Sport specification incorporating 17-inch alloy wheel designs. The 2.0 TDI ultra with 190PS and manual transmission runs its namesake remarkably close, returning up to 72.4mpg with 102g/km. The particularly cultured V6 TDI engines also show impressive restraint. The 218PS version with seven-speed S tronic transmission registers a 109g/km output when combined with Sport specification and front-wheel-drive, while the more potent 272PS equivalent more than makes the grade with a 134g/km CO2 value. Also deserving of a special mention is the 2.0 TFSI petrol engine with 190PS. It slashes CO2 output to as little as 116g/km through the use of a completely new combustion process developed using the familiar Miller cycle as its basis, and will be notable for its ability to deliver optimal response across the entire engine speed range. To fully exploit the economy potential of this absolutely up-to-the minute engine technology, the powertrain and chassis of the new Audi A4 and A4 Avant have also been completely redeveloped. The six-speed manual transmission, the seven-speed S tronic twin-clutch (now also available for front-wheel drive) and the eight-speed tiptronic have been reworked, and in the process the automatic transmissions have incorporated a fuel-saving freewheeling function. The completely new platform with its sophisticated five-link fully independent front and rear configuration and newly designed electromechanical steering also ensures that ride and handling make a great leap forward. The suspension and steering filter out disturbances significantly more effectively, but at the same time communicate important information such as increases in lateral forces and tracking more clearly. Trademark Audi quattro all-wheel-drive is available in conjunction with the 2.0 TFSI 252PS and 2.0 TDI 190PS four-cylinder units and both 3.0 TDI engines. The purely mechanical system with its self-locking centre differential designed as a planetary gear train transfers 60 per cent of the engine’s torque to the rear axle and 40 per cent to the front. Depending on the situation, it can direct up to 70 per cent to the front and up to 85 per cent to the rear. An additional active rear differential capable of apportioning torque between the individual rear wheels will also be available later in 2015 for some quattro-equipped models, and for most versions it will also be possible to opt for adjustable dampers and a dynamic steering system which varies its ratio according to speed and steering angle. 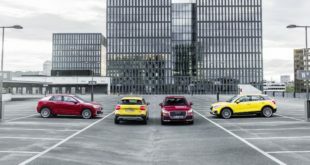 Where these options are fitted, their operating characteristics will be configurable via the Audi drive select adaptive dynamics system, which is a standard feature across the range. Its Comfort, Auto, Dynamic, Efficiency and Individual modes will also have a bearing on the response of the throttle, the shift points of the automatic transmissions if specified and the weighting of the steering. The super-refined driving behaviour of the all-new A4 is matched by the polish of its ‘touchpoints’ – the beautifully wrought interior with its exceptionally precise and fluid switchgear and slickly integrated technology tangibly moves the game on from the outgoing car, which was renowned in its own right for its fit and finish. Owners who want to project their car even further into the future can opt to replace the analogue dials in the binnacle with the remarkable all-digital Audi virtual cockpit launched to critical acclaim in the TT and R8 sports cars and now also available for the Q7 SUV. They can also replace the standard xenon or LED headlamps with Matrix LED units capable of establishing and tracking multiple road users and illuminating the appropriate corridors of lights either side of them to maintain maximum visibility without dazzling other drivers. Highlights of the options list will also include a 19-speaker, 755-watt Bang & Olufsen audio system with 3D sound, Audi Entertainment mobile incorporating two detachable touch-screen tablet computers built into the rear seats, the Audi phone box bringing two separate Bluetooth connections and wireless smartphone charging* and MMI Navigation plus with a larger 8.3-inch monitor complemented by the MMI Touch fingertip-responsive touchpad built into the rotary controller. In addition, numerous state-of-the-art driver assistance systems can be added to make the all-new A4 driving experience even safer, even more efficient and even more effortless. From an economy perspective, the predictive efficiency assistant helps drivers to reduce fuel consumption by up to 10 per cent by using navigation route data to alert the driver to situations in which it would make sense to reduce speed, such as before bends, towns or speed limit signs that are not yet visible. The system can adapt the preselected speed to the route and the speed limits and also take over predictive control of the free-wheeling function of the automatic transmissions. For convenience, the Stop&Go adaptive cruise control system includes a traffic-jam assist function which eases driving in crawling traffic by assuming control of the acceleration, steering and braking, taking into account a large number of parameters such as road markings and the traffic ahead. Other newly introduced features with a more safety-focused orientation include rear traffic crossing, exit warning and turn assist. Rear traffic crossing aids the driver when reversing by detecting vehicles crossing from behind and initiating an acoustic warning and emergency braking if required; exit warning monitors the rear and side of the car and warns occupants before they open the doors that vehicles or cyclists are approaching from behind; turn assist helps with right turns by monitoring oncoming traffic as soon as the driver switches on the indicator, and can bring the car to a complete halt if a manoeuvre is started accidentally.